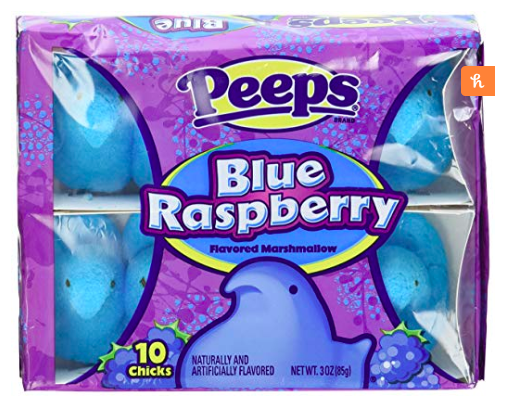 Last year Peeps debuted flavors like Blueberry Delight, Red Velvet (yum), and a "mystery flavor." 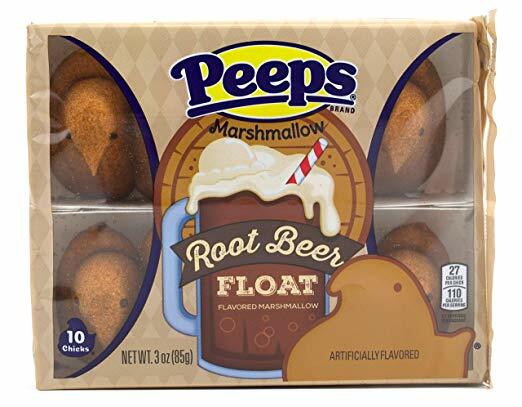 This year, however, they took it a step further to come out with flavors such as Root Beer Float and Bubble Gum (ew). These flavors have already been released and are available for purchase, so check your favorite retailer! Share with your friends or keep them to yourself -- the decision is yours! 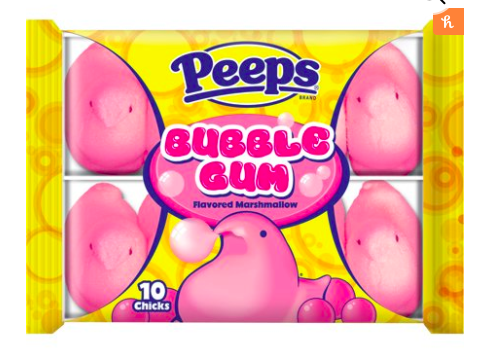 Check out this compiled list of strange Peeps flavors to try this Easter season. I guess you can drink your dessert and chew it, too? I don't know about you, but I would be willing to taste test this one. Find them on Amazon here for $5.70! Marshmallow + Sour Sugar = Yum or Eww? You make the choice. Find them on Amazon here for $6.20! Better hurry; only 18 left in stock. 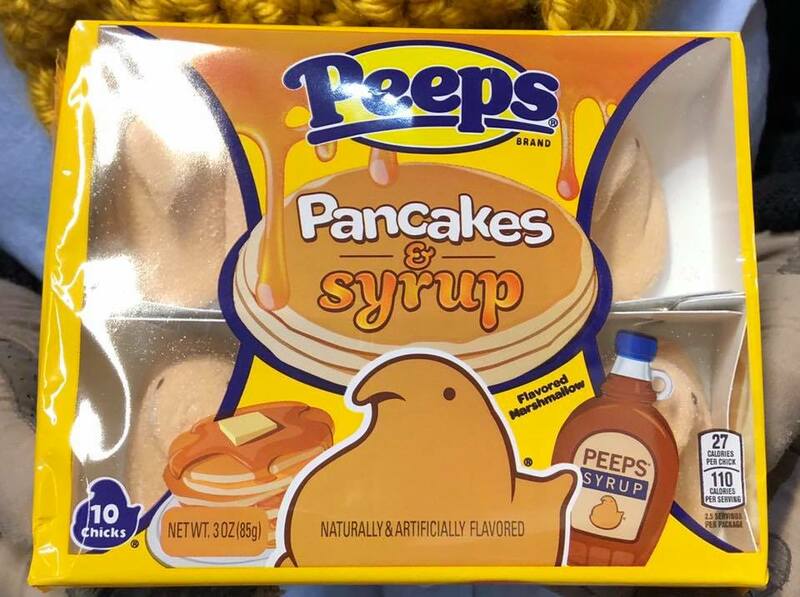 I wonder if they taste like they came fresh off the griddle? Just melt some butter on them and you have a breakfast of champions! Find them here on Amazon for $9.68 or on ShopFoodEx.com for $2.98! Let's be honest, these might actually taste pretty good! 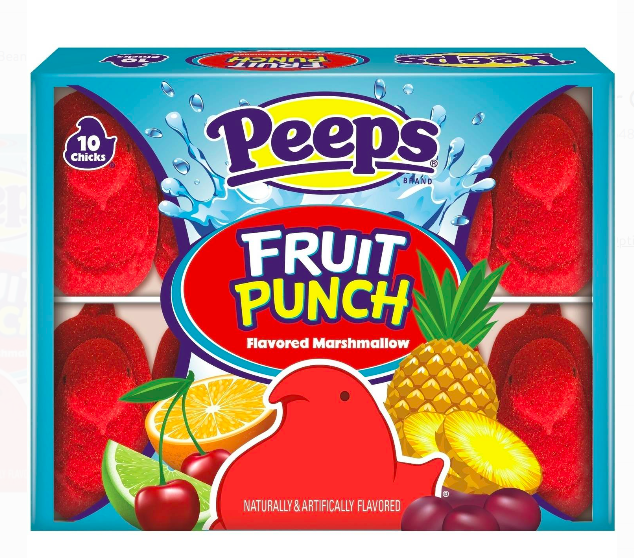 The only questionable aspect is that it would be a creamy fruit punch. Find them at Walmart here for $1.24! 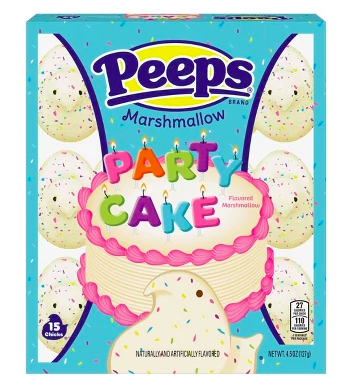 What is a party cake anyway? They remind me of the Funfetti cakes from my childhood, covered with "sprinkles." Find them at Target here for $2.09! I'm not against this -- a fluffy cotton candy! But talk about sugar overload. Find them at Target here for $2.09! One Twitter user gave up her diet for them! I'm curious, very curious. 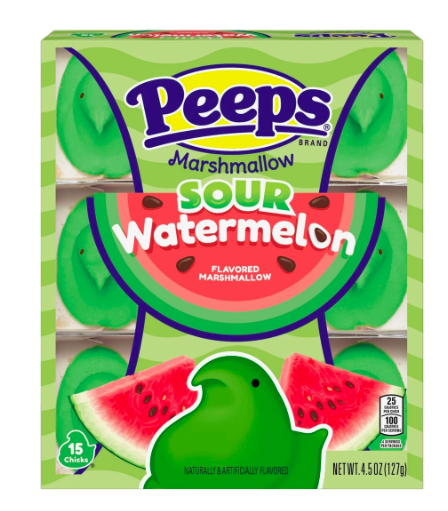 Interesting choice to make -- combining sour and fluffy marshmallow together. Good or bad? You be the judge. Find them at Target here for $2.09! Out of all the flavors they could have picked, they chose gum. Who wants to eat their bubble gum? Find them at Walmart, here, for $1.12-$4.22! Surprise! Pop! 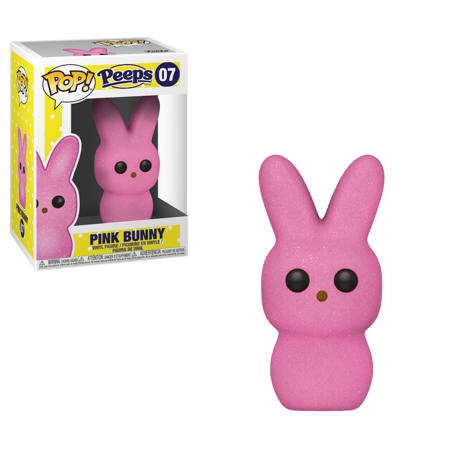 made a Peeps Funko Pop figure so you can satisfy your love for Easter year-round! 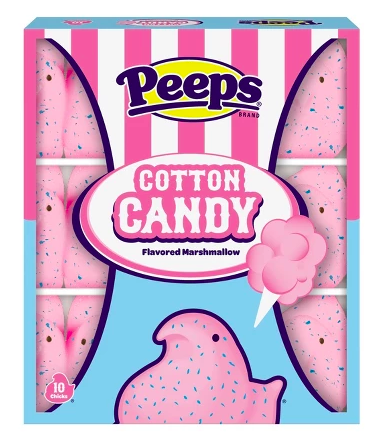 It comes in the iconic yellow and pink bunny shapes -- they are being sold at Walmart for $10.99 each. Which flavor could be your new favorite? Which one are you wanting to try? Tell us your thoughts in the comments below! Looking for some chocolate bunnies to order online? We've narrowed down our favorites here!